Perfect vacation spot! One block from the beach and from all the bars and main attractions in town. One bedroom and couch/bed in the living room. Super stylish just renovated! Bright colors and flowers are gonna bring you immediately in that vacation vibe you were waiting for! 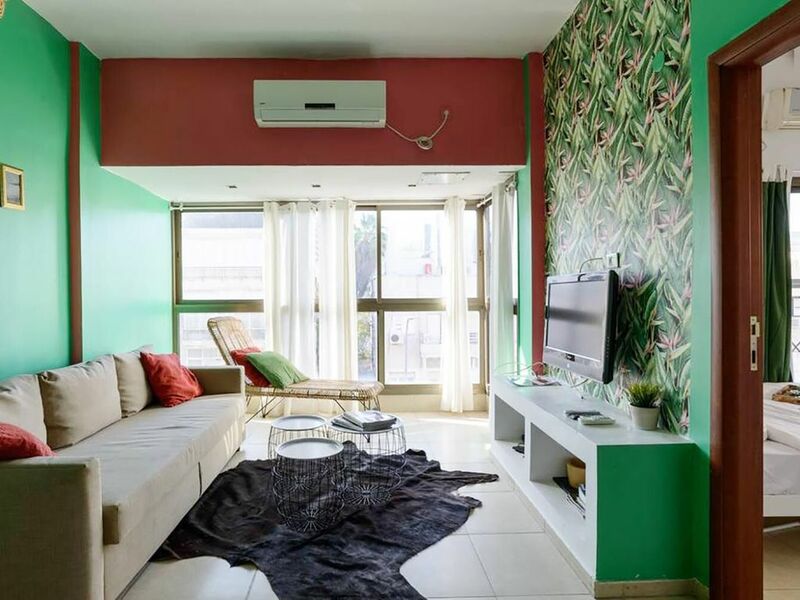 Quiet apartment perfectly located in the best location of Tel aviv, only one block away from Hilton Beach. Tropical Sensation apartment is located on the third floor with no elevator. The apartment is very spacious and full of sunlight. In the living room we have a comfy couch that opens up into a 1.40 meter bed, that can host 2 more people.